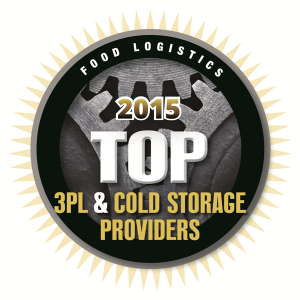 HICKORY, NC (August 14, 2015) – Transportation Insight, a leading global third-party logistics (3PL) provider, has been named to Food Logistics magazine’s annual list of Top 3PLs and Cold Storage Providers for a third consecutive year. The Top 3PL Providers list is an excellent resource for transportation decision makers, giving them a snapshot of the capabilities of these companies and the geographic region(s) they serve. With its end-to-end Enterprise Logistics solutions, advanced Supply Chain Analytics and Extended LEAN® continuous improvement methodologies, Transportation Insight has earned a reputation for excellence as a lead logistics provider serving companies throughout the world. With many leading food and beverage companies represented among Transportation Insight’s 1,000 clients, the 3PL brings supply chain expertise that helps businesses deliver superior customer service while increasing productivity and bottom line profits. The 3PL serves as a business strategist that helps clients to discover through evaluation and innovation where waste disappears, where true process change occurs and where clients see the most impact. Transportation Insight’s supply chain reporting and analytics enable companies to better understand and allocate logistics costs. The 3PL deploys technology, leverages carrier relationships across multiple modes and applies an engineering mindset to evaluate core data. The confluence of this data and better analytical tools such as Insight TMS®, a web-based Transportation Management System, provides operational process efficiencies, cost reduction, improved visibility and responsiveness across the entire supply chain.